And there's just no other way to put it. So, let's begin with our continuing travel philosophy - the method we started using on our first big trip to New Zealand and have continued to refine over the years. The first step involves research and plotting our specific points of interest on a map. Second, I delve into the world of AirBnB in search of the most interesting AND most economical accommodations. Entire home only, please. From there I do my best to match up those accommodations that meet the mark in the same general area as concentrations of our mapped points of interest. This is where the gamble (and in almost all cases, the pay off) comes in. I don't match distances between our points of interest and potential accommodations. We book what looks best and most interesting within our budget. From there we fly mostly blind, leaving the guidebooks and research at home - instead relying on our hosts, the local community, and adventure to experience our trip in real time. And oh yes, it worked fantastically for this one. 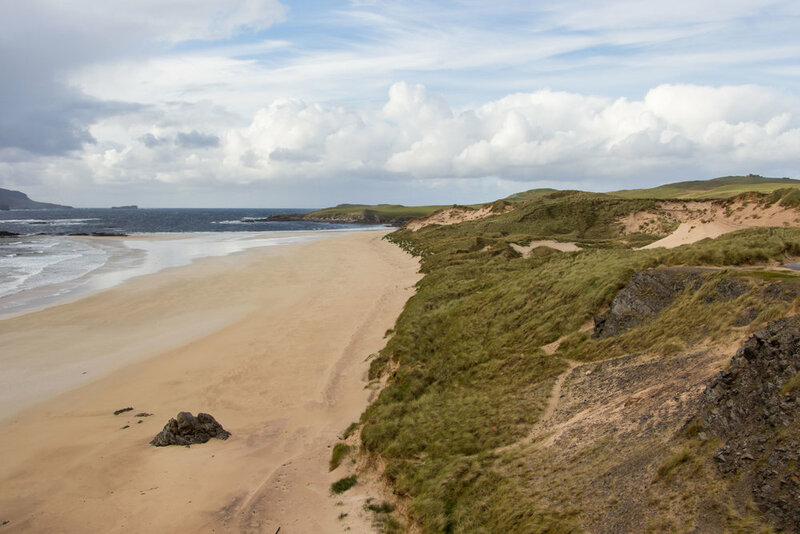 Our itinerary avoided most major cities, save a stop in Edinburgh for gluten free high tea and a stop at the incredibly chill Inverness airport to pick up a friend and fellow traveler. Instead, we stayed in rural areas - often at least 30 minutes away from a proper grocery store. We got to know some of our hosts, others left us to our own devices. In the eighteen or so days we spent on the ground, we experienced more wonderful things than I ever could have planned for or imagined. There's no doubt in my mind, we'll be back. Our initial thought for this trip included a stop in Wales to visit Snowdonia National Park, and so we booked the cheapest ticket we could on a preferred airline into Gatwick. After further refining our itinerary to allow for what we believed would be a more sufficient period of time in the northern most areas of Scotland, Wales was sadly dropped and in entered the Lake District. The shortest stop of our trip, we used our stay in a converted stable to adjust to the time zone and recover from the eighteen or so hours of international travel. Instead of getting out for a hike near Ullswater, our original plan, we opted for a driving tour around the Lake District. Stopping to wander around Castlerigg Stone Circle and picnic on a boulder along Honister Pass. 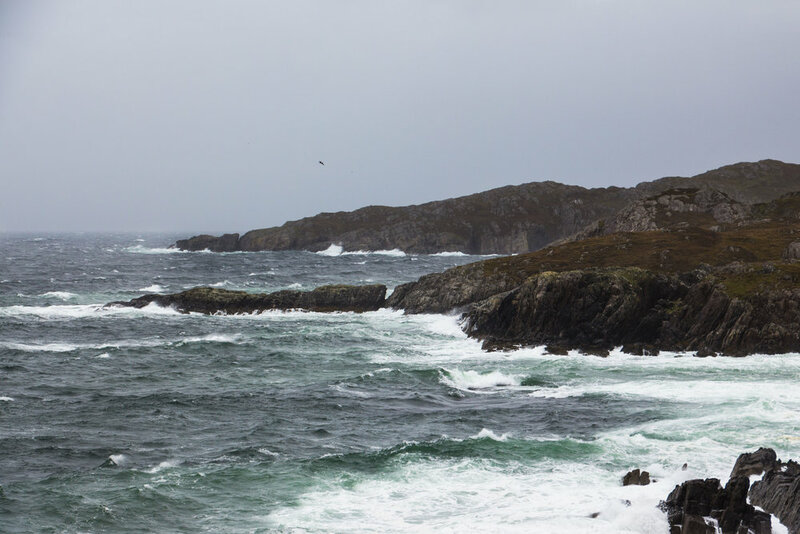 The scenery was our first taste of how striking the island once known as Albion really is. Our hosts were inviting and happy to chat with us about our interest in their multiple adventure-mobiles. Their two sheep dog pups joined us on the back patio for morning tea and some light stick throwing during our two night stay. *A couple spots we stopped in Edinburgh, and while not technically in Argyll, we visited on our way from the Lake District. While the Lake District was beautiful, our arrival on the Ballimore Farm Estate in the hills of Argyll is where the magic began. Along a single track local road, then down a dirt road through open range land for both Highland cattle and sheep, past a private loch - the Main House and Cottage appear, bright white beacons on an upper hillside overlooking the property. Three farm dogs greeted us immediately upon exiting our car; a black lab, a black and white spaniel, and slim herding dog with less interest in human visitors than the other two. Our hosts greeted us warmly with an immediate offer of steaks from their own herd, which was promptly delivered along with potatoes, onions, and butter to cook with. I'm not a huge meat eater these days, but that steak cooked in just a bit of butter and onions was the best I've ever had. Our first full day here, we drove the short distance into the seaside town of Oban - enjoying coffee and some fantastic gluten free fish and chips at the Oban Bay Fish Bar & Restaurant. Oh and full disclosure, also getting some experience with the British medical system for a minor infection. Short story, it was wonderfully smooth, friendly, free, and came with a considerable amount of hiking advice for our time in the highlands. A+ British medical system! The second day oozed the magic that is rural Scotland. 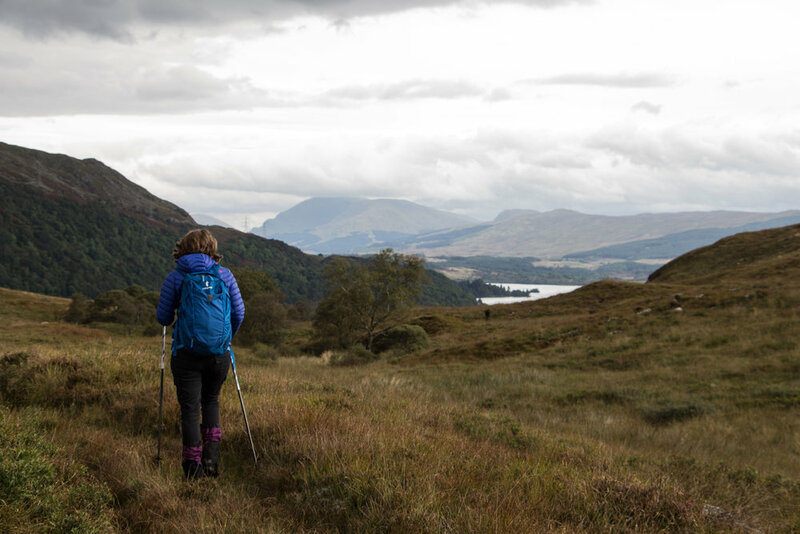 We hiked desire paths, along with our tag along temporary dog (the spaniel) through varying estates down to the banks of Loch Awe and to the Ardanaiseig Hotel. The weather along the several hours long hike alternated from sun to rain as we approached the base - with Kelly, the spaniel, splashing in every puddle she could along with way. Walking the winding path down the grounds of the hotel, we approached in our rain gear with muddy boots - figuring Kelly would be most welcome to wait outside while we had a cup of tea. Inquiring inside, the concierge was almost offended by the thought that we would leave Kelly outside despite being covered in mud and emanating an overwhelming wet dog smell. So, we doffed our rain gear in the entry way and led Kelly, for whom we had fashioned a leash out of plastic twine, into a beautiful parlor filled with antiques. Here we enjoyed our tea in the company of several other couples with their own dogs. Perhaps this was when I began to know just how much I would love Scotland. You just can't beat high tea on the shores of a loch with dogs welcome all over the place. Oh the magic! Don't ever let it stop! We heard while planning our trip that all the hype was in fact true, the Isle of Skye was a most magical land. Our long drive through the length of the island proved no different. The views were ones I'd imagined to see in places like Iceland or Norway, yet somehow much more accessible. Our travel planning philosophy landed us in a beautifully appointed cottage in the small northern town of Staffin. 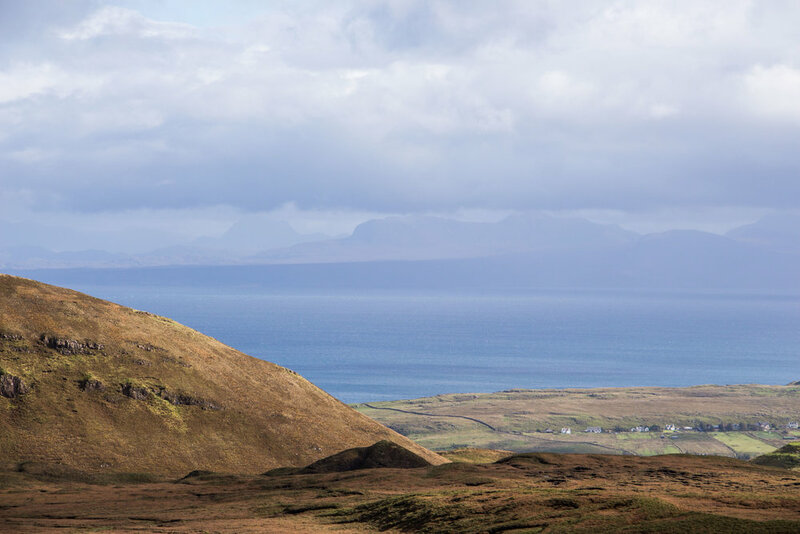 From our back patio we had a perfectly framed view of the famed Quiarang and our windows provided views of picturesque neighboring homes, sheep, and the Trotternish Ridge. From here we based our adventures out across the island. Of note, Staffin is really far out there on the island and it's quite a big island. Prepare for some long, albeit beautiful, drives if you find yourself basing here (WORTH IT!). In our cottage, we found a pocket guide which would inform our travels for the rest of the trip; Isle of Skye: 40 Coast and Country Walks. The illustrations on the front of this mini-guide drew me in and the perfectly summarized route descriptions kept me enthralled (and desperately wanting to buy all their books). We opted for the Fairy Pools for our first excursion in order to get a look at the Cuillin range. As it does in Scotland, the rain poured down all morning and promised to for the rest of the afternoon. With full rain gear, gaiters, and waterproof boots - we set off down the trail. As it turned out, so much rain had fallen that day the bridge (and subsequent bridges) the trail crossed were simply underwater - with all hikers simply walking down to the river and returning, soaked, without rain gear mostly, to their cars. A river crossing here was out of the question and not safe given the current. Not to be deterred we hiked back uphill, route-found our way through the neighboring forest and across another part of the river via branches to the other side of the trail. From here we continued on, through the rain towards the foot of the Cuillin - all alone on a trail which normally sees thousands of walkers. The pools and waterfalls along the way were stunning and we worked our way across several river crossings through teamwork and trust. Eventually on our return hike, we met another set of intrepid hikers who had found their way - but being alone in the pouring rain on that trail could not have been a more memorable experience. 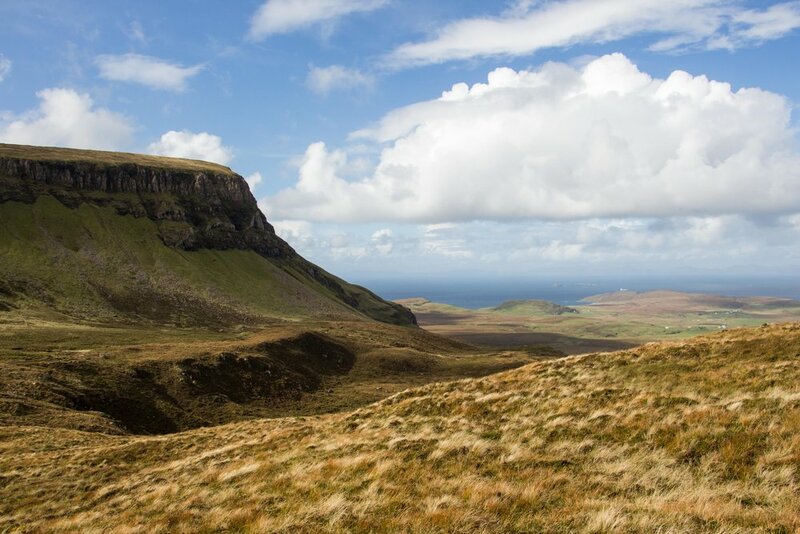 Located much closer to the base of our stay, we hiked the Quiarang on our second full day on the Isle of Skye. Again, it met all the hype with it's lush, green, and epic scenery. It wasn't the clearest of paths, but if you're up for making your own way through this massive landslide it's yours to explore and dog friendly to boot! Thank goodness for temporary dog companionship! All the locals we met on our trip and those I'd reached out to for advice before, were absolutely correct in two observations; first - the Isle of Skye would live up to the hype and second - we would want more time in the Northern Highlands. Yes in fact, I do want more time in the Northern Highlands. When the way we book our stays goes really right, they tend to blow our previous travel experiences out of the water. Taking a touch of risk on an unreviewed AirBnB holiday home, we booked the East Achiniver Croft House near the legitimately remote town of Achiltibuie. The drive past Ullapool, an adorable town in it's own right, yielded desolate spaces with lochs, corbetts (smaller mountains), and munros (larger mountains) all around us. The road out to Achiltibuie is single track, meaning room for one car at a time going just one direction. Oh and it's covered with sheep that DO NOT CARE. It's one of the most utterly charming places I've ever been. Through the town, the Achiniver properties (two homes and a hostel), splay up a hillside overlooking the Summer Isles in the foreground and the Isle of Lewis on the horizon. The original house was built in the 1870s and has remained in the same family over all those years, with new additions being added on here and there. Mornings spent in this house are the ones I find my mind drifting back to the most often. Heated by two iron stoves, each morning we'd descend the stairs to light fires with peat and coal - after which there would be coffee, tea, painting, and whistle playing. All while gazing out the window at Tanera Mor, the largest of the Summer Isles. From our base we ventured out into the wild weather to attempt a climb of Stac Pollaidh in the sideways rain (short story: I walked the loop around and Zeke climbed to the top) and walked the cliffs around Achmelvich Beach, tried not to buy all the hand painted pottery at Highland Stoneware, and took a day trip up to the coast of the North Sea by Durness. The later of which, I can't recommend more. As you drive north from Ullapool, the views only get more stunning (read: more desolate) and impressive. These were sights I was sure I wouldn't have the opportunity to see anything like until we managed to bump ourselves up an income bracket to afford a trip to Norway or more than 20 hours in Iceland. The bottom line is, we budgeted three full days to experience this northwest corner of Scotland and I could have used two weeks. That being said, those three days were absolutely wonderful - if you can give it just that much time, take it! 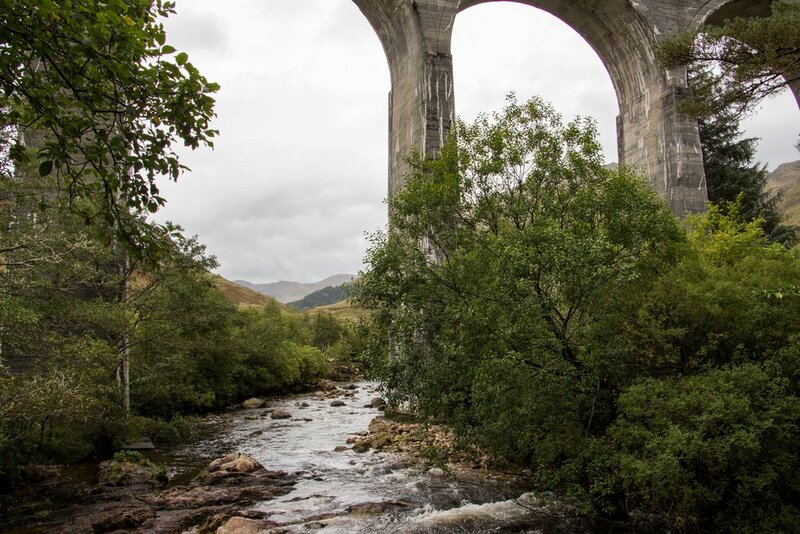 *A couple spots we stopped in Inverness, and while not technically in the Cairngorms, we visited on our way from the Achiltibuie. For the final destination on our road trip around Scotland, we picked up a third traveler - a friend who was at the time just setting off on a multi-month adventure around Europe. After bopping around Inverness for supplies, we landed at a magical little base in easy range of the Cairngorm mountains. Our little corner of this former foresters home offered cozy quarters and access to an actual fairy woods with adult sized zip lines, swings, huts, and more. Using our host's excellent little library of information, we found our way to some interesting bars (the Doo Below), a pleasant hike out of Glenmore Forest Park to the Green Loch, and to several meals at the Mountain Cafe (I highly recommend the vegetarian breakfast at all times of day - we're still trying to replicate the potato courgette rosti we enjoyed here). Our big adventure at this stop started out as a hike to the Northern Corries near Cairn Gorm (the mountain, as opposed to the region). 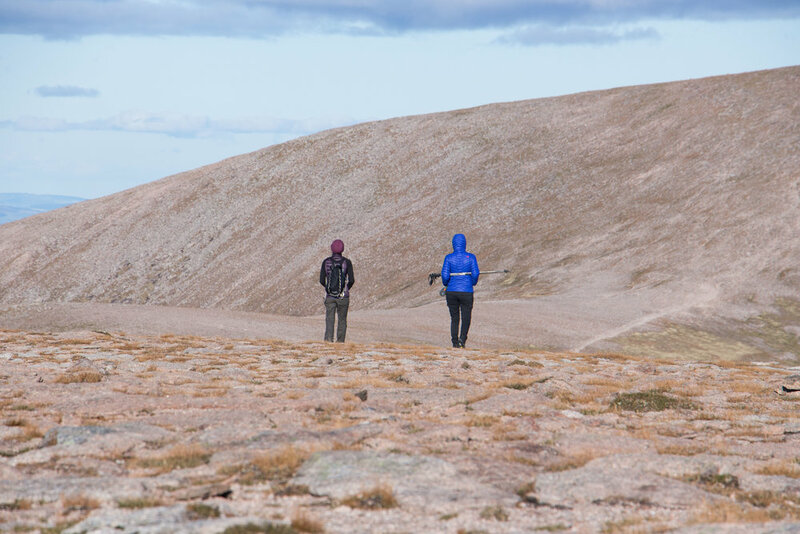 Now, while I was under the impression this would be a three to four hour adventure, once we got up to the top of one of the corries and saw the ridge line trail to the summit of the Cairn Gorm the distance the story seemed to change every couple of minutes. 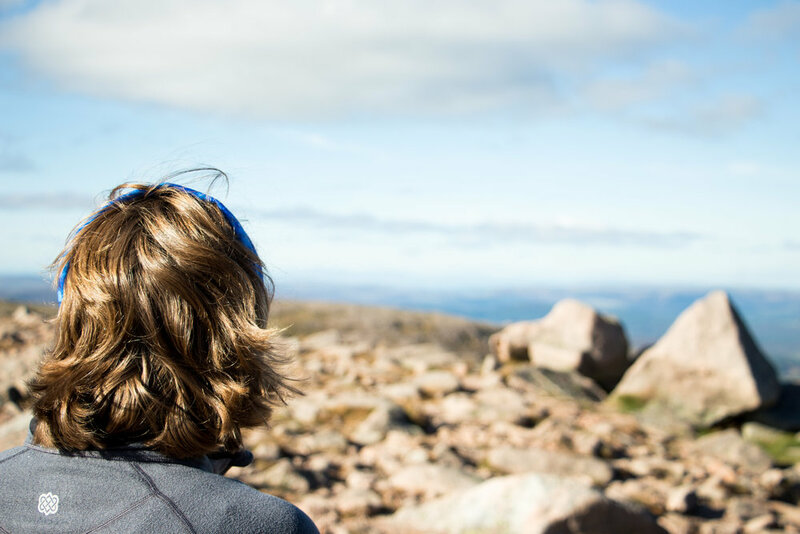 It was one of those, let's just go a little bit further games - until it became a shorter distance to summit the sixth tallest munro in Scotland than to return the way we came. It was a gorgeous hike and given that we set off late, perhaps around noon or early afternoon, we ended up having the summit to ourselves with sunset views on the way down. I can't think of a better way we would have spent our final night in Scotland.